RK Vardar Skopje will have a chance to win the third SEHA Gazprom League crown in a row! For the second time in three seasons, EHF CL winners 2017 will try to make it in Brest, home city of the best Belarus team Meshkov Brest. 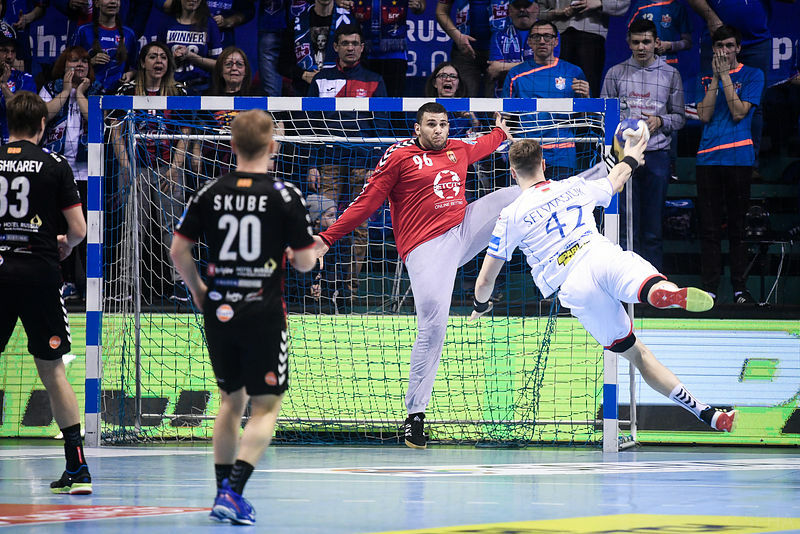 The Macedonian champions beat Meshkov Brest 25:23 (14:10) after an interesting battle in which difference was made by outstanding performance of Serbian goalkeeper Dejan Milosavljecv, who ended clash with 18 saves. Despite lead of RK Vardar during first half even with four goals, good shooting performance of Meshkov back-line Obranovic and Djordjic put home team in the lead ten minutes before the end 20:21. That wasn’t enough as in crucial moments Karacic (3), Kristopans (5) and Stoilov (7) put their team up for the replay of the last year’s final with PPD Zagreb.